Update: This code isn’t working at the moment. We’ll update this post if we figure it out. You probably track your steps, calorie burn, and heart rate all day every day, so why not your weight? 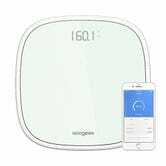 This $25 smart scale integrates with your smartphone to keep track of your body stats over time. I tested out an earlier model of this scale, and came away impressed, but the new one looks even nicer, to my eyes. 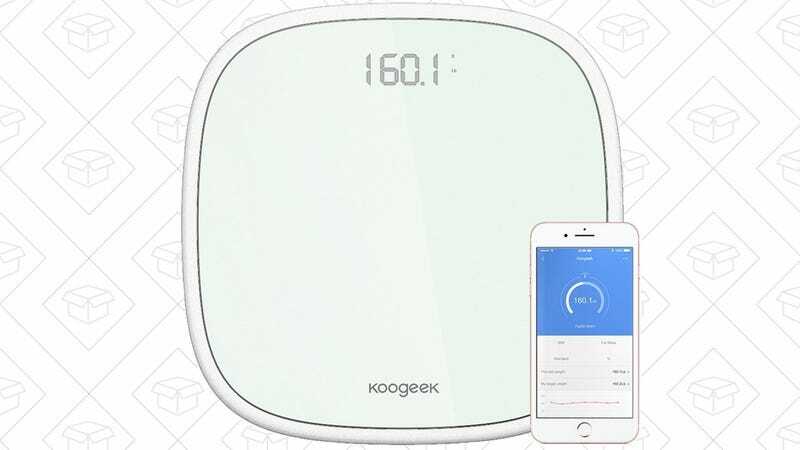 Once it’s set up, you just open the free Koogeek app, step on, and all of the data the scale collects will sync to your phone automatically. Plus, you can sync the app with Apple HealthKit and Google Fit, giving your other fitness-focused apps access to your data. Just be sure to use promo code 8PMM6WDY to get the deal.